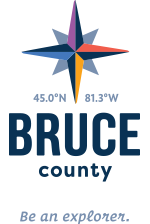 While the beaches at Sauble, Southampton, Port Elgin and Kincardine are considered to be main attractions, no visit to Bruce County would be complete without an exploration of our bakeries – which some would argue, should also be on the list of ‘main attractions’. As Canadian as can be, gooey butter tarts, Nanaimo bars and Rhubarb/Strawberry pies are crafted here with a unique Bruce County stamp. Our heritage lies in baking and you’ll soon find out that we do it better than most. Discover the difference that local ingredients such as our pure clover honey, country churned butter and farm fresh eggs make. With so many farms in the region, it’s not hard to find treats that taste as exceptional as the locally-sourced ingredients they are made from. In Sauble Beach, discover why Luscious Bakery lives up to its name. Just one block from the beach main entrance, Luscious is family-run, and a hit with locals and holiday makers alike. People eagerly await opening their cottages so they can enjoy a fair-trade organic coffee and one of Luscious’ legendary Chelsea buns. Before you hit the beach, stop by for homemade breads, croissants (try the whole wheat) fruit or savory pies, dessert squares, cookies, muffins and specialty cakes. After a morning on the beach, walk over and explore their lunchtime items. Get a homemade hearty soup, meat pie or custom-made deli salad or sandwich to go. There’s no menu because it changes daily. Don’t be surprised if there’s a line up at peak times, but the friendly staff keep the line moving quickly along. If you want something specific (like their wonderful pumpkin pies at Thanksgiving) order in advance to avoid disappointment. In Southampton, seek out a family tradition. As you walk up High Street, the smell of freshly baked bread will tell you when you’ve arrived at the Offshore Bakery long before you see the line-up. This Southampton staple has been baking for Port Elgin and Southampton cottagers for what seems like forever. Many have been coming here since they were children for the sweet buttery croissants, flaky tea biscuits, donuts, cakes, pies, tarts, squares, buns, and an ever-changing variety of breads and savory items like sausage rolls. Come early if you want their famous cheese, flax, Bruce County potato or alpine bread or to avoid the line. Think like a local and call in your order ahead of time to avoid missing out on a favourite item as certain things sell out quickly. With limited seating, this bakery is best served ‘to go’. Cash only. Discover local baker ‘Dale’s Bakery’ section at this eclectic independent grocery store which puts an emphasis on local and foods from across Canada. The small baking section at the front features Dale’s Bakery items. You can usually count on Dale’s Bakery cookies, brownies, butter tarts, a few squares and a limited fresh bread selection. Dale’s Bakery can also be found at the Sauble Beach Farmer's Market on Thursdays and in Walkerton Farmer's Market on Friday mornings. Downtown Kincardine has always been vibrant, but things got a little more colourful and creative when this funky bakery opened in 2016. In one visit you will discover that this shop is all about baking fun. They love to decorate and you’ll discover why their desserts bring a smile to people’s faces. Although they are known for their beautifully-decorated cakes, even their pies offer a surprise with sayings cut out of their crusts. From freshly baked bagels, breads, cookies, rolls, squares, donuts and savories to go, there’s lots of Bruce County creativity and passion to be found in this bakery. When your sweet tooth has been satisfied, be sure to visit some of these Main Attractions on the Lakeshore.